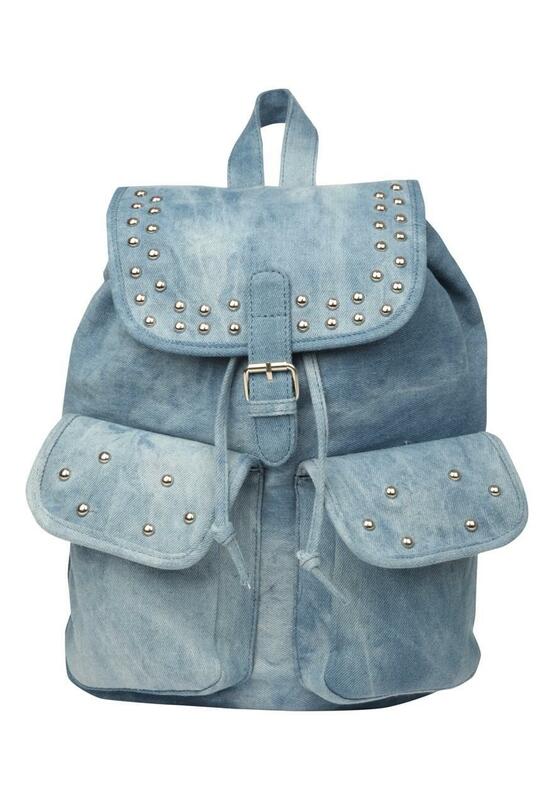 This denim rucksack is perfect for keeping your belongings safe. 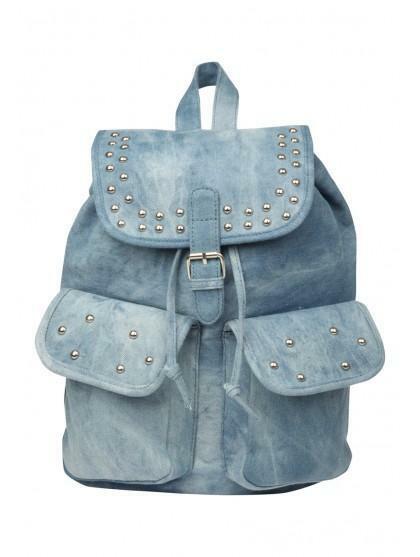 With the 'rockin' stud detail and the 'washed out' material, this is right on trend this season. Ideal for keeping your pockets free, the adjustable drawstrings and front pockets make this little number practical and also great for adding some style to your outfit this season!